Our MSU Spartans Spartan Head Car Flag mounts on any vehicle window. 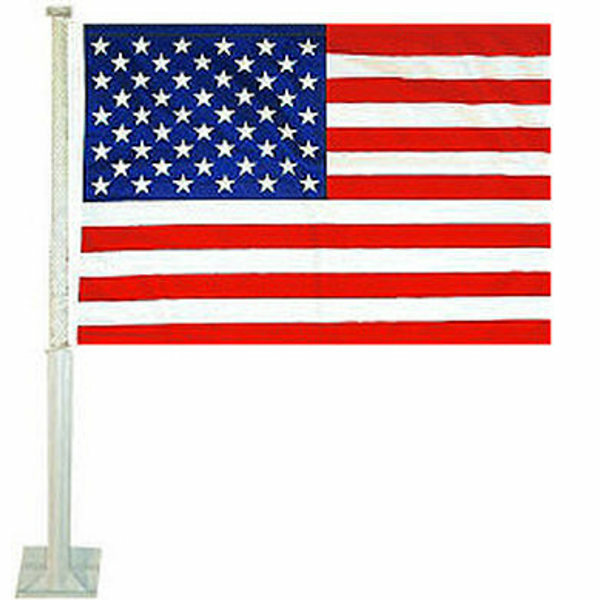 This college Spartan Head Car Flag is constructed of 100% 2-ply polyester, measures 12x15 inches, and includes the plastic pole and mounting bracket. 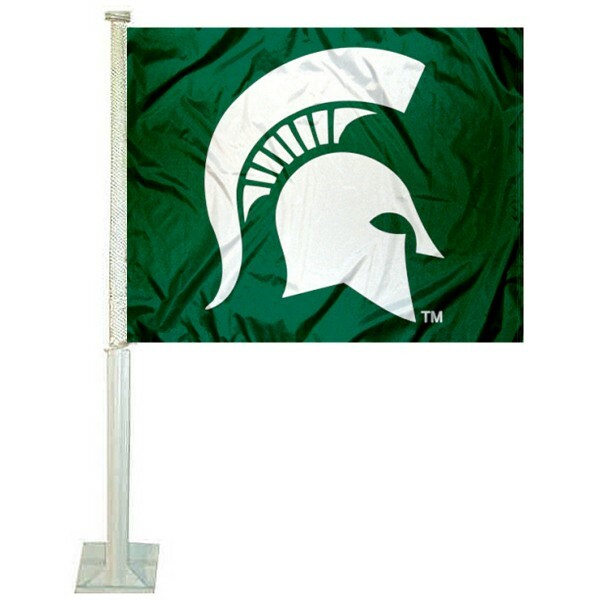 The Officially Licensed NCAA team logos are screen printed into each ply of polyester so this MSU Spartans Spartan Head Car Flag is viewable and readable correctly from both sides. Get one for each side of your car, van or RV. 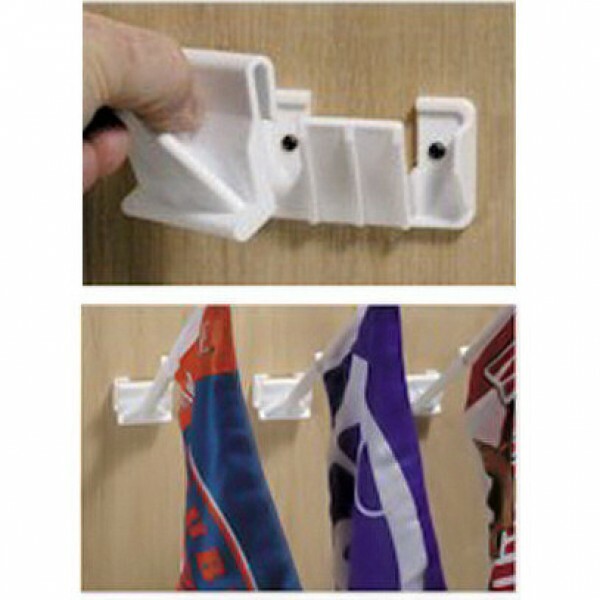 Use your MSU Spartans Spartan Head Car Flag as an interior wall decoration with our Spartan Head Car Flag Wall Mount.